Recognizing that children need balance and focus in their lives, Lani Rosen-Gallagher (M.Ed., RYT 200, RCYT) first incorporated yoga into her daily schedule while teaching first grade in Coney Island in Brooklyn, NY over 20 years ago. Dozens of kids yoga and mindfulness trainings later, she created Full of Joy Yoga and set out on the path of bringing yoga to kids into their school day. She has taught thousands of children in preschools, public schools, yoga studios, libraries and events from the Bay Area (where FOJY was born) to New Haven, CT where she is currently located. Jen Byer’s inner playfulness & love of yoga is how she founded YoPlay Yoga for Kids® in 2010. It’s where YOga & PLAY come together. Jennifer (RYT 200, RCYT) has over 20 years of yoga practice & teaching experience. She has taught thousands of children in preschools, public schools, yoga studios, libraries from Florida, where YoPlay® was founded, to around the world from Japan to Canada, and many places in between. Mindful Yoga Breaks was created with the intention of teaching teachers to use “breaks” in their day as a way to calm, focus and allow students to be able to self-regulate. 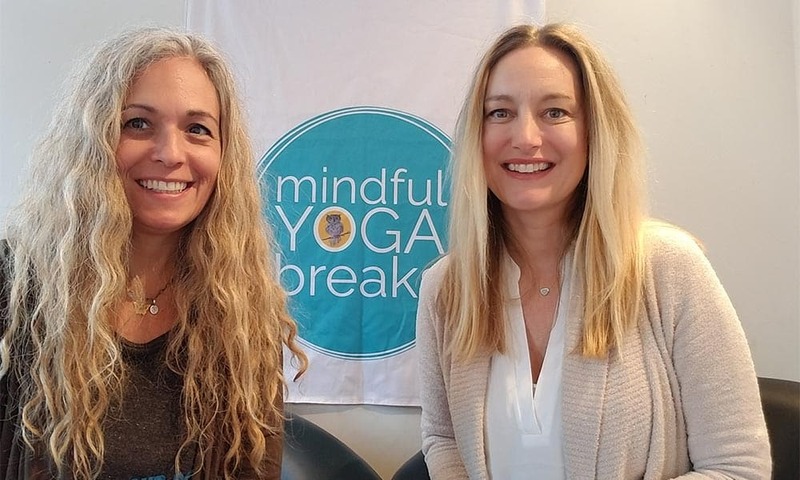 Lani & Jennifer are passionate about improving the lives of children through yoga and mindfulness and love creating new fun ways to reach that goal. They have combined their love and passion for teaching and creating to collaborate and bring this new program to schools, parents, students world-wide.